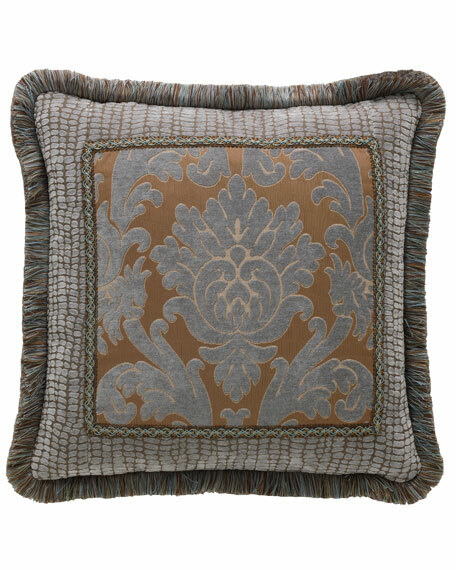 Legacy Bella Damask Pillow, 20"Sq. 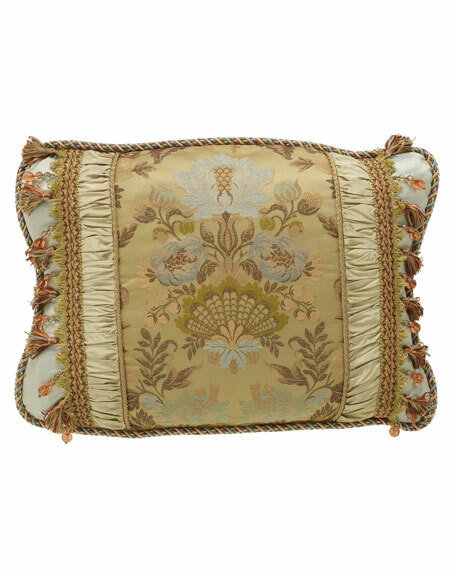 Rayon/polyester.Damask center; crocodile-print border; fringe trim.Dry clean.Made in the USA of imported materials. 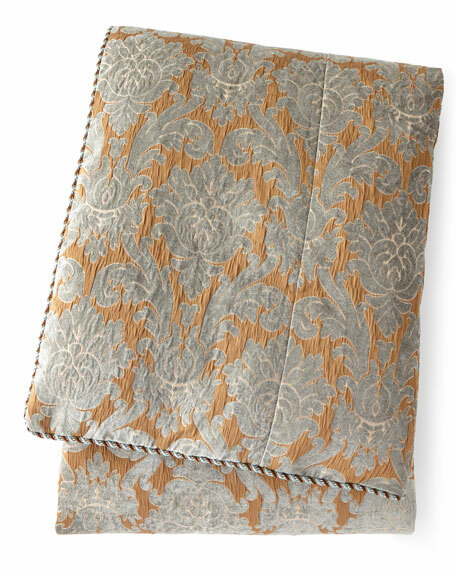 Rayon/polyester damask with cotton reverse.Dry clean.Made in the USA of imported materials. Two-piece set includes one duvet and one sham. 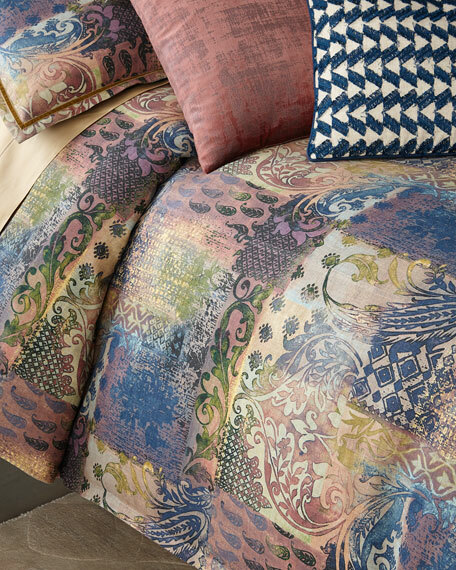 Duvet: 86"Sq.Linen/viscose.Dry clean.Made in the USA of imported materials.